A tool to identify all the receptors activated by a specific smell, in species ranging from mice to flies, was developed at UNIGE. In animals, numerous behaviors are governed by the olfactory perception of their surrounding world. Whether originating in the nose of a mammal or the antennas of an insect, perception results from the combined activation of multiple receptors located in these organs. Identifying the full repertoire of receptors stimulated by a given odorant would represent a key step in deciphering the code that mediates these behaviors. To this end, a tool that provides a complete olfactory receptor signature corresponding to any specific smell was developed in the Faculties of Science and Medicine of the University of Geneva. Published in the journal Nature Neuroscience, this approach allows to identify thousands of chemosensory receptors, among which, potentially, those able to trigger predetermined behaviors in mammals or in insects, such as pests, disease vectors or parasites. If we know that mosquitoes track us down thanks to the carbon dioxide we reject, or that salmons find their native river by recognizing its olfactory signature, many of the receptors activated by these stimuli remain unidentified. This extends to the majority of odorants perceived by mammals, as well as pheromones, which trigger or inhibit a specific behavior. From human beings to flies, animals create an odorant representation of the world which surrounds them thanks to the selective and combined activation of receptors present in the sensory organs. The genes coding for these chemosensors, amounting to about 400 in humans and 1’100 in mice, constitute the largest and most diversified group of genes in mammals. «The olfactory receptors’ superfamily has been known for more than twenty years, but the identification of its members which are stimulated by a given odorant has been hampered by technical difficulties. Yet, this represents a key step in deciphering the rules governing chemoperception in animals, including those in human beings», says Ivan Rodriguez, professor at the Department of Genetics and Evolution. In collaboration with Alan Carleton, professor at the Faculty of Medicine, the team of the biologist took advantage of one of its discoveries to try to develop a tool which may serve this purpose. «We observed in mice, after an olfactory stimulation, a decrease in the transcription of genes encoding the receptors activated by the smell perceived», details Ivan Rodriguez. The approach devised by the researchers actually provides a snapshot of the number and the identity of the receptors stimulated at a specific time in the olfactory neurons of the nose in response to an odorant. «This olfactory signature can also be established in Drosophila, from its antennas. This demonstrates the versatility of our approach and suggests that it could be used to identify populations of neurons active elsewhere than in the olfactory system, in other regions of the brain for instance», notes Daniel Rossier, co-first author of the study. This method allows to identify, in a few days only, thousands of receptors and, consequently, molecules which can activate or inhibit them. 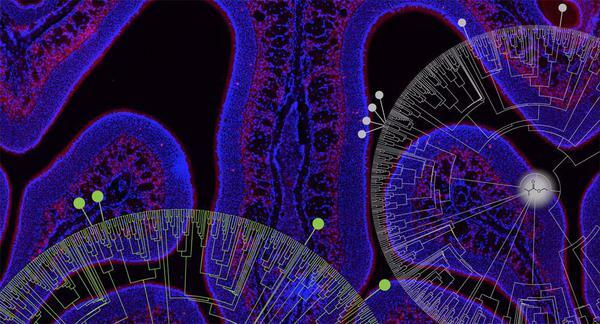 It represents an essential tool to unravel the logic of the chemosensory code across animal species. Its applications, countless, extend for example to the domain of chemicals able to trigger predetermined behaviors in mammals or in insects, such as pests, disease vectors or parasites. «Besides, it is not necessary to know the genome of the species studied, because only the gene transcripts, that is the RNA messengers, which are the gene ‘prints’, are analysed», explains Ivan Rodriguez.